And here's a big story we missed from over the Christmas period: Lynton Crosby has been appointed to be "campaign strategy chief" for the Boris campaign. Mr Crosby who was a leading architect of John Howard's early victories also ran Michael Howard's 2005 campaign. He was hugely popular with CCHQ staff at the time and was approached by senior Tories to return to run the Central Office operation for David Cameron. Commitments in Australia meant that he was unable to accept. One of Lynton Crosby's key beliefs is that every campaign needs one person in effective charge - one desk where the buck stops. The London Evening Standard report of his appointment suggests that he will be "campaign strategy chief" but "Dan Ritterband, who some Tories felt lacked political experience and clout, remains as campaign director and will maintain overall control of strategy." This is the one concern we attach to an otherwise very welcome development. Commitments in Australia mean that Mr Crosby will be part-time until the closing weeks of the campaign and so the co-leadership of Boris Johnson's mayoral bid might be inevitable. It will be very important that lines of decision-making are clear. Key to that happening will be the role of James McGrath. He (along with respected London campaigner Toby Vintcent) has also been appointed to the campaign. James McGrath, Chief of Staff to George Osborne in his role as General Election co-ordinator, and an Australian, will be vital in ensuring that the set-up works. Crosby - with his enormous campaign experience - must have the power to take the key decisions with Boris himself where necessary. The Crosby-McGrath-Vintcent appointments are reassuring signs that the national Conservative leadership understands the importance of the contest with Ken Livingstone and that they believe that it is winnable. Recent polling shows Ken Livingstone narrowly ahead but the still-developing Jasper affair may yet be deadly for Livingstone and there are signs that the Boris campaign has already been gearing up on other issues. A sign of Boris Johnson's seriousness will be that the campaign looks like it expects to win. This will mean that there should be grown-up plans for running the Mayor's office. Johnson won't help the Conservatives if he wins but his early weeks are characterised by the same managerial drift that characterised the early period of his campaign. Francis Maude's Implementation Office - headed by Nicholas Boles, a once mayoral hopeful - could have a role here. McGrath was Chief of Staff to Mr Maude when he was Party Chairman and so that is another opportunity for synergy. Boris is on the move! "All the evidence is that millions are being squandered on organisations connected with Lee Jasper, without any tangible benefit to the people of London. This cash could be used to transform the lives of young Londoners, and to stop them turning to lives of crime and gangsterism. Instead, it is being used for politics. It is increasingly obvious that some London Development Agency funds have been used as a slush fund by the Mayor and his cronies to pass money to groups with which they have close personal links and which serve as their political amen corner within the black community. It is an utter disgrace, and yet anyone who dares question the order of things is denounced as a “racist” — an accusation Livingstone now seems to have graciously retracted in my case. It is the politics of the skunk — making a smell and then scuttling away in the hope that nobody notices. Well, people have now noticed his tactic, and they have noticed what is going on in the LDA." 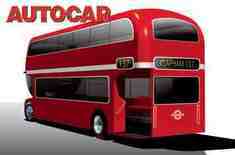 Today Boris has been all over London radio backing Autocar's new design for the Routemaster. Boris called the design "fabulous". It does look good! Boris Johnson will only win the election if he energises the Tory vote in outer London. The more he talks beyond 'Zone 1 issues', the better. He spoke to Policy Exchange earlier this week about ringfencing public health spending. So, in conclusion, encouraging signs. Nonetheless, there is still an urgent need to strengthen Team Boris. ConservativeHome understands that CCHQ wants to see James McGrath and one other heavy-hitter installed in the campaign. Both are essential appointments. They also want the often chaotic operation moved into CCHQ so that the whole party machine can support next year's most important electoral contest. We'll update on these issues as soon as we hear anything substantial. In a double-page spread (not online) the London Evening Standard asks: What's stalling the Boris bandwagon? It notes ConservativeHome's post on 'drift in the Boris campaign' from a month ago. The article by Keith Dovkants begins by wondering why the campaign didn't anticipate the 'Boris is a racist' attack. The BackBoris website reprints the article being used by Mr Johnson's opponents and invites readers to decide if he really is prejudiced. The article notes that James McGrath, former Chief of Staff to Francis Maude and "acolyte of Lynton Crosby" is being considered by Boris Johnson as "heavy artillery" to beef up the campaign. There certainly needs to be "beefing up". Dan Ritterband, 32, is currently Boris' key aide but has next to no experience of a major political campaign. Dvokants notes that Team Boris has just two press officers to Ken Livingstone's 70. The article quotes Stephan Shakespeare's suggestion on ConservativeHome that Boris needs a 'Prince Hal moment'. But the most striking question comes at the end of the LES piece: Does Boris really want the job? 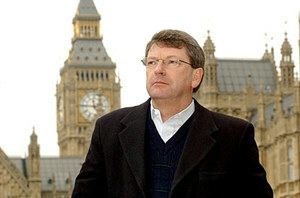 Since he won the nomination he has been involved in three TV projects that have required filming in six nations. These were all longstanding, pre-existing commitments but have frustrated CCHQ. Yesterday Boris initiated a parliamentary Early Day Motion against the BNP. Today, according to The Standard, he promises a £150,000 pilot programme to improve safety on London's buses. There is not any mention of it on his website yet but click back here later. Yesterday the BBC's John Pienaar 'joked' that it had been hours since Brown's Labour Party had been rocked by scandal. Well, we didn't have to wait long for something new. Following up on our earlier post about the huge amounts of cash that went to organisations associated with Lee Jasper, Livingstone's ideological ally, today's London Evening Standard is now reporting that these organisations were the same organisations that attempted to smear Boris Johnson as a racist earlier in the summer. The infamous Blink website is at the heart of the taxpayer funded dirty tricks. "Speaking at Prospex in North London, a charity helping disadvantaged young people, Conservative Candidate for Mayor of London Boris Johnson commented on the allegations surrounding City Hall orchestrating recent attacks on him. “Attending a group today desperately in need of LDA money, it is galling to know that millions of pounds of LDA money has allegedly not got through to the many community groups that need it most. “The Mayor should now apologise for this outrageous abuse of hard-earned taxpayer’s money. We always knew the attacks on me were a put-up job, and in no sense represented the black community. The attacks are a smokescreen to hide the fact that his administration has ripped off community groups across London and failed to improve the lives of the very people he claims to champion. There really is something rotting throughout Labour. You claim in numerous press releases and statements that the LDA is “the Mayor’s LDA”. If this is indeed the case, are you personally satisfied that the organisations referred to in the Evening Standard article have been transparent and honest in their dealings with the LDA? Was Lee Jasper involved, either directly or indirectly in any of the funding decisions relating to the organisations mentioned in the Evening Standard? Have you instigated any internal enquiries relating to the allegations of an abuse of expenses in the Metropolitan Police? Can you provide a breakdown of the number and individual amounts of grants the GLA have directly (not including money given by the LDA, but including waived fees for facilities at City Hall, and sponsorship for events and conferences) given to the following companies/project; Diversity International, 1990 Trust, Brixton Base, Black Londoner’s Forum, European Federation of Black Women Business Owners, African Caribbean Business Network, Deshbangla Foundation? On BBC London News on 5th December 2007, it was reported that you stated there was a “full audit trail” relating to these projects. Can you confirm when this will be published? Will you undertake to commission a full independent enquiry into the allegations reported in the Evening Standard? How many official complaints have you received about the ethical standards of any of your senior staff during your administration? If the allegations about the unethical behaviour of Mr Jasper are proved by an independent enquiry to be accurate, what disciplinary action will you take? Can you confirm that no taxpayer funded GLA staff have been asked by you or any of your senior staff to work on political attacks against your opponents during your administration? How many complaints have been made against Mr Jasper by GLA staff relating to breaches of the GLA Dignity at Work guidelines?